AVALON — On Aug. 17, the world-famous Tuna Club will open its doors to the pubic for tours of the historic structure. But only for one day – as a fundraising benefit for the Catalina Island Museum. Founded in 1898 by Charles Frederick Holder, the Tuna Club’s illustrious history includes a number of famous anglers, such as British Prime Minister Winston Churchill, motion picture director Cecil B. DeMille, actors Charlie Chaplin and Stan Laurel, writer Zane Grey and Gen. George Patton. For more than 100 years, the Tuna Club has been recognized around the world for pioneering and contributing to the evolution of big-game fishing. 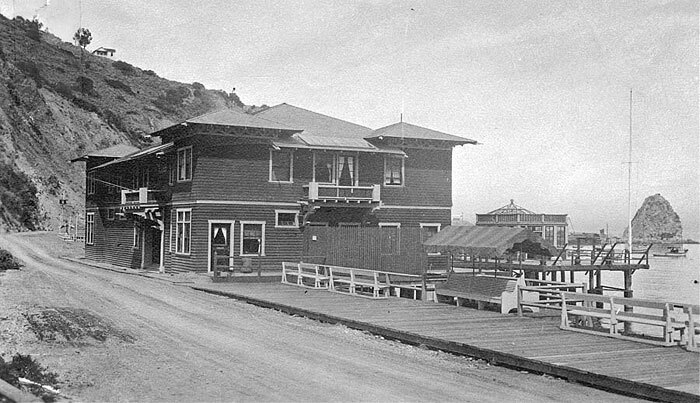 The world’s first rod and reel angling of tuna, marlin and broadbill swordfish began off Catalina Island, making Avalon the natural location for this private club. Strict privacy is a club tradition, and nonmembers cannot enter the facility without an invitation. So, guests are encouraged to take this once-a-year open house opportunity to tour the interior of the clubhouse and examine the club’s sportfishing one-of-a-kind artifacts, historic trophies and rare photographs. Tours will be led by Mike Rivkin, an author of books on fishing and a past president of the Tuna Club. He will share the unique history of the club and its role in the birth of sportfishing. Guests will also learn about Holder, who established rules to govern big game angling. The club remains committed to ethical angling and preserving the sport’s great traditions, to this day. It openly discourages the use of hand lines and harpoons. The club continues to pay tribute to those anglers who have caught a tuna weighing in excess of 100 pounds, using only a rod and reel with a line no stronger than 24 thread. The special one-day tours will be held at 1 p.m., 2 p.m. and 3 p.m. Tickets are $30 for members of the museum and $35 for the general public. Only 60 tickets are available, and the tour always sells out. For more information or to purchase tickets, call (310) 510-2414 or visit CatalinaMuseum.org. ← What’s New on Catalina Island?